Posted by Mark Berman & filed under Josh Brolin. 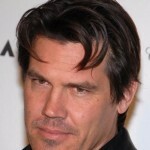 Beverly Hills, CA May 2012: I saw Josh Brolin walking along Beverly Drive in Beverly Hills. He was much shorter in person, and I’m a really short girl myself! — Sighting by JY Have a story to share? Please submit your sighting here.